After hearing about raspberry pi, I decided to buy a pie. After a little research purchased a raspberry pi from amazon. My initial experiments included connecting the pi to my tv using HDMI and try different OS in it; not limited to raspbian ( default OS). Also tried berryboot, retro pie, XMBC in my PI. Used Pi for playing games as well as using it as a media hub. Sooner I realized that I was deviating from the purpose that I bought Pi. All these things anyone can do. I need to try something unique, something innovative. This thought had driven me to the things world. The basics that you need to understand here is current flows in a closed loop and not in an open loop. If you place a led in a circuit between the positive and ground terminal, led turn on. In other words, binary one (1) can be used to represent where there is a voltage(+) and a binary zero(0) for ground. These 1’s and 0’s are the basics of electronics circuit and it is the basic building block of anything (IOT). There are different types of raspberry pi like Pi 2, Pi 3, Pi Zero etc.. Each of these differs each other with specifications like chipset, RAM size, USB ports, display ports etc. But in general, they have a set of pins which is called as GPIO (General Purpose Input Output) pins. Apart from the GPIO pins, there are specific purpose pins like clock pin, Ground pins, 5V Pin, 3.3V Pin. these pins have a specific purpose, where we can programmatically set the GPIO pin to the high state or low state. We can use c++, nodeJS, python for controlling the GPIO pins. Each GPIO pin has a number associated with it. See the above pinout diagram for more details. For now, we will use a small nodeJS script to work with Pi with the help of the rpio library (https://github.com/jperkin/node-rpio). Below is a small nodeJS snippet to set the GPIO pin 12 ( GPIO 18 ) to high then to low 5 times every 500 milliseconds. wow! We did our hello world on raspberry pi. The above code initializes pin 12 to output mode and sets the default value as zero. The write method then keeps the pins high and low periodically, which turns the led blink. Now we have seen how to do output, let’s see how to control our logic. The same pin can be used as an input pin also. It is the reverse of what we did for blinking. We need to get the input from a button and if it is clicked then the led needs to be turned on. 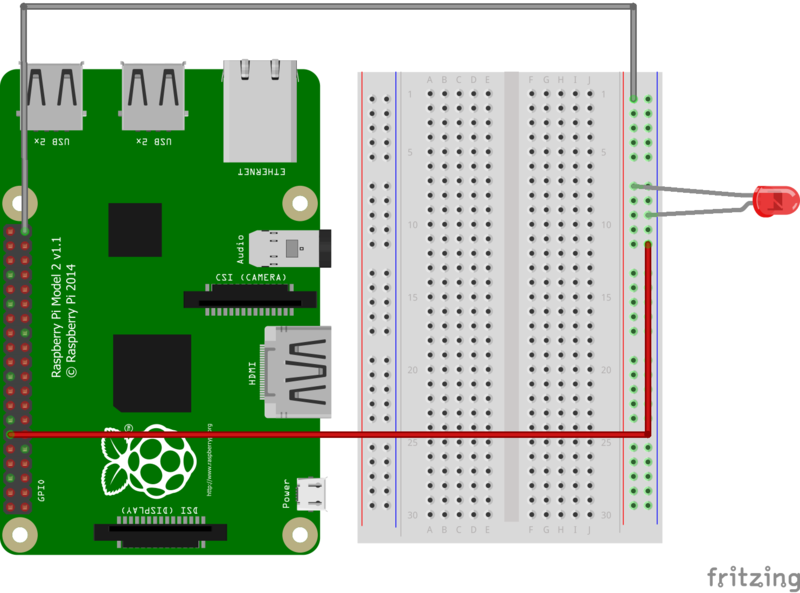 On clicking on the button, it will make the GPIO pin 15 high, which is captured as a interrupt and the logic is executed, which will turn the led on. 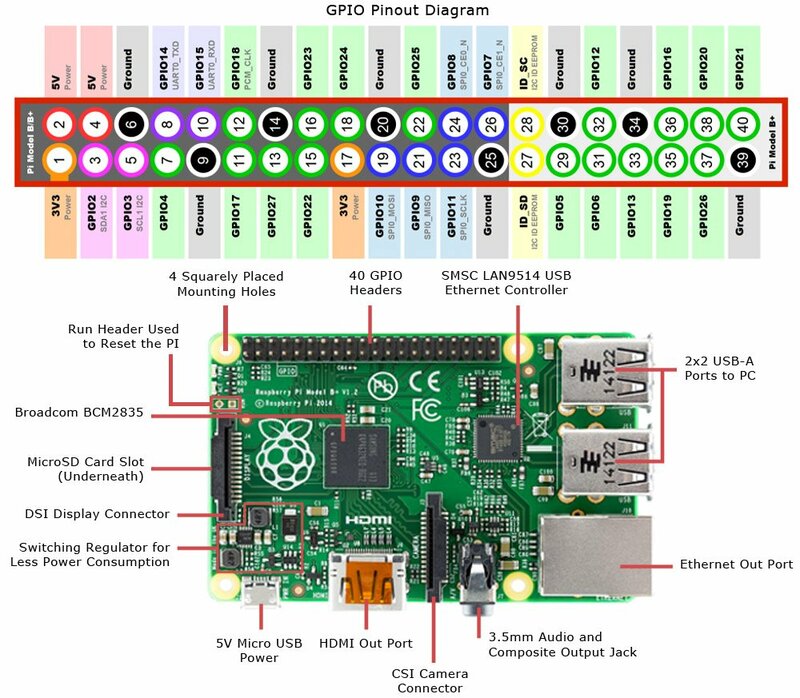 This way you can control almost any sensor using raspberry pi / Arduino. I will be coming up with a hello world post for Arduino. Please share your feedback through the comment box.